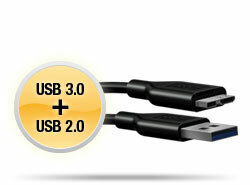 A Decade ago, being able to carry about 1 TB worth of data and storage space was only a dream. Now, that dream has not only been achieved, but has also been surpassed. With the boundaries and limits having been broken through a bigger storage space is now available only to be easily accessed and carried around wherever you go. Introducing the Samsung M3 1TB USB 3.0 Slimline Portable Hard Drive, a portable external HDD that gives you not only durability, but also a huge amount of data space. With a whopping 1 TB, you can be sure to save not only your documents and assignments, but also raw video files, movies, videos, music and even games at the same time within this HDD. Programmed with the hot swap function, the Samsung M3 1TB USB 3.0 Slimline Portable Hard Drive enables you to run, transfer and save your data without the need and hassle to constantly reboot your laptop or PC. 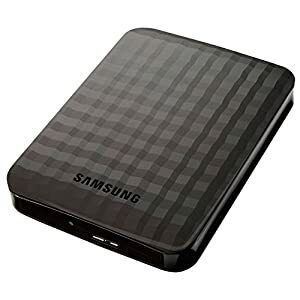 Furthermore, the Samsung M3 1TB USB 3.0 Slimline Portable Hard Drive helps cut down the time needed data transfer, featuring USB 3.0 connectivity that is also compatible to USB 2.0, the HDD delivers Super Speed data transfer and access speeds to give you more time to watch the series you just transferred that you've been waiting for. Sporting a sleek, durable black design that stands up to the rigors of daily use, the Samsung M3 1TB USB 3.0 Slimline Portable Hard Drive is also programmed with software such as SafetyKey, SecretZone and Auto Backup Software to help keep your data safe and protected.